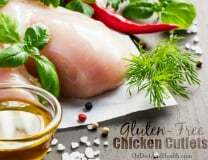 Is free range chicken the same as pastured chicken? It depends! 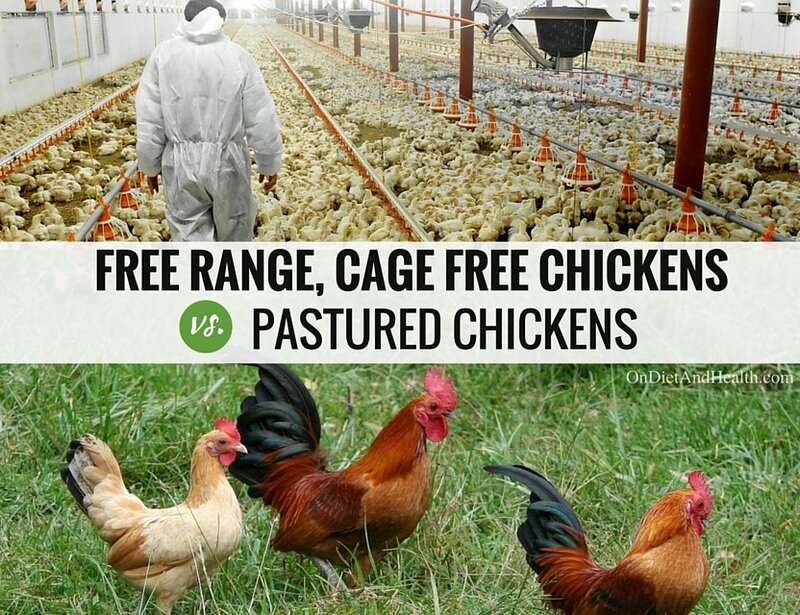 Pastured, cage free and free range usually mean different things. 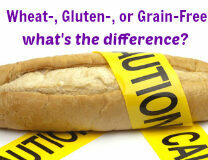 Add in various marketing terms such as organic, natural, and vegetarian feed and you’re probably being misinformed. Cage Free Chicken type #1. Most of the confusion, myths and lies come from the term Cage Free. If you have 10,000 birds on a concrete floor there’s not much difference between removing the cages and keeping the cages. Severe overcrowding, ammonia, fighting and stress make sick birds who need antibiotics to survive. Cage Free type #2: Some growers (especially those feeding organic feed) give the birds a little more floor space to fluff and strut. But still no nests, and chickens do have a pecking system which can be fatal. Many growers remove part of the beak to prevent this. Cage Free type #3: Other growers using conventional feed and growing methods keep birds stacked on shelves in a brightly lit chicken house. They’re still packed tightly and have nowhere to go. In fact, cages might provide a bit of protection when you’re one in 10,000 on your own. 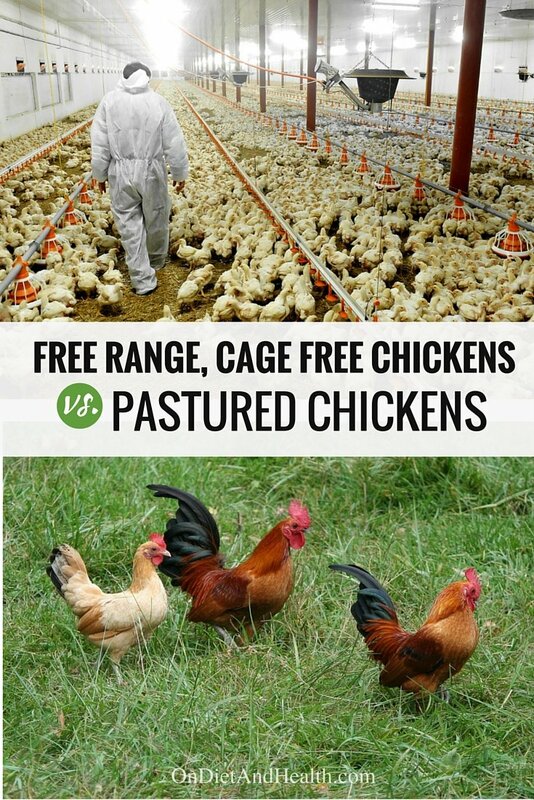 Free Range Chicken type #1: As in #2 above, these birds are able to “range freely” inside massive barns. There are openings to the outside, but chickens are, well, chicken about exploring o utside by themselves. They may have a little more room and better ventilation and even some nesting areas, but it’s impossible to tell by looking at the egg carton. Free Range Chicken type #2: These free range birds spend more time outside in dirt or concrete floored cages to keep predators away. Their living area may still be crowded but quality of life is better and debeaking is not needed. They get some sunshine but no grass. 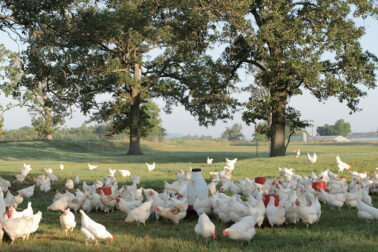 Free Range Chicken type #3: Pastured birds living outside on grass are often called “Free Range”. If they truly are pastured, the carton should state “pasture-raised”. What about happy birds pecking in the grass in a big field? Now, we’re talking! These birds live outside with shade, eat bugs, rummage about in real grass, and only get Organic supplemental feed (non-soy) when required. They have safe housing at night. Some farmers use portable coops and drag nest houses to fresh grass each day. That’s the ideal chicken and egg! Pastured chickens yield nutrient-dense eggs richer in nutrients than other eggs. The USDA reports that pastured eggs have 2/3 more Vitamin A, 2 times more natural Omega-3 fatty acids, 3 times more Vitamin E and 7 times more Beta-Carotene. In addition, pastured eggs have 1/3 less cholesterol than commercial eggs fed on corn, wheat and soy, and less than a quarter of the saturated fat. Cooking your eggs destroys many of their anti-oxidant and other healthy properties. Eat fresh p astured eggs raw in a low carb smoothie, or cook them gently as little as possible. Hard scrambled, microwaved, and hard boiled are the least healthy. 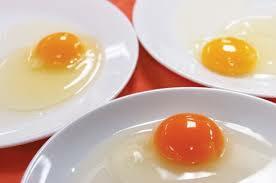 Pastured egg yolk is usually darker yellow than other eggs and stands up high and firm. The yolk contains most of the nutrients. The white contains mostly protein and is more clear and firm in organic free range eggs. Try adding extra yolks to your smoothie if you don’t need the protein from the whites. Yolks make an ideal early food for babies. 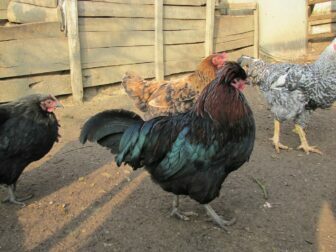 How do I find Pastured Eggs and Chickens? Local farmer and rancher markets often have them. Ask the vendor if the birds were raised only on grass and bugs, and if their supplement feed is Organic. In stores, Vital Farms is the brand I rely on. Generally, this refers to birds fed organic corn and soy instead of genetically modified corn and soy. These are not natural foods to an omnivorous chicken. Those huge claws and sharp beaks aren’t meant for hunting corn! Organic can also refer to avoiding antibiotics. Chicken labelled organic must also be free range although verification inspections are random and free range is a questionable term. 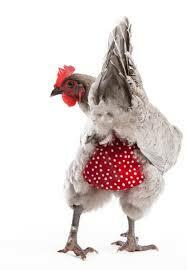 Does the US allow hormones in chickens? No, these are banned. Labeling that says Hormone Free means nothing…. A few growers allow animal protein and fat in their feed, but most feed is corn and soy and therefore vegetarian. Of course, chickens are not vegetarians so this is not a selling point to me! Why should I avoid Omega-3 enhanced eggs? Dr. Mercola states this: ” AVOID ALL omega-3 eggs, as they are some of the least healthy for you. These eggs typically come from chickens that are fed poor-quality sources of omega-3 fats that are already oxidized. Also, omega-3 eggs perish much faster than non-omega-3 eggs”. Surprising – right? All Natural? This merely means that nothing has been added…. All eggs are natural. It’s only when you get to the meat that things can be added. Farm Raised? All chickens are raised on “farms” but if the term is used on a menu it often denotes a local grower. Ask! Want more chicken fun facts?? Enjoy my podcast with Andrew Lawler on his wonderful book “Why Did the Chicken Cross the World and Become a Global Superstar?” It’s a good one! Find over 100 great podcasts on my “Top 5 Science-Centered Paleo Podcasts” (awarded by Paleo Magazine) for Primal Diet – Modern Health on iTunes or Stitcher.